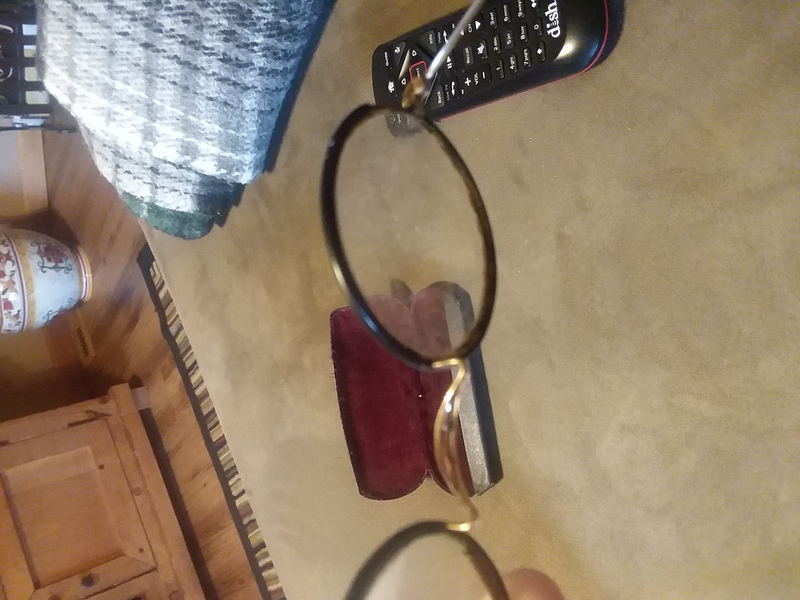 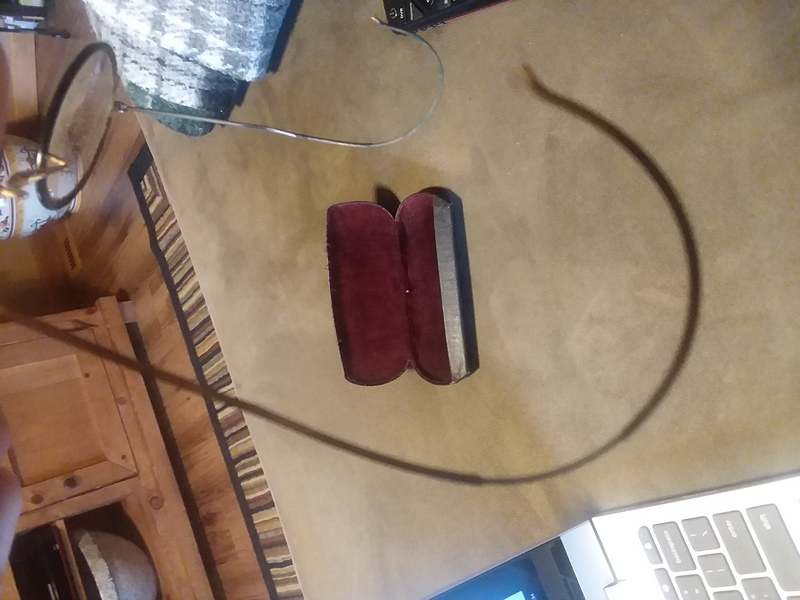 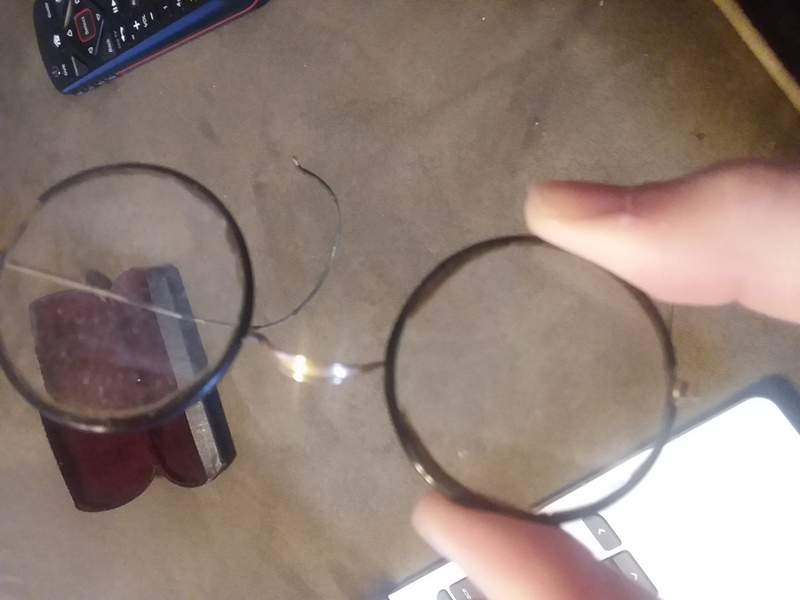 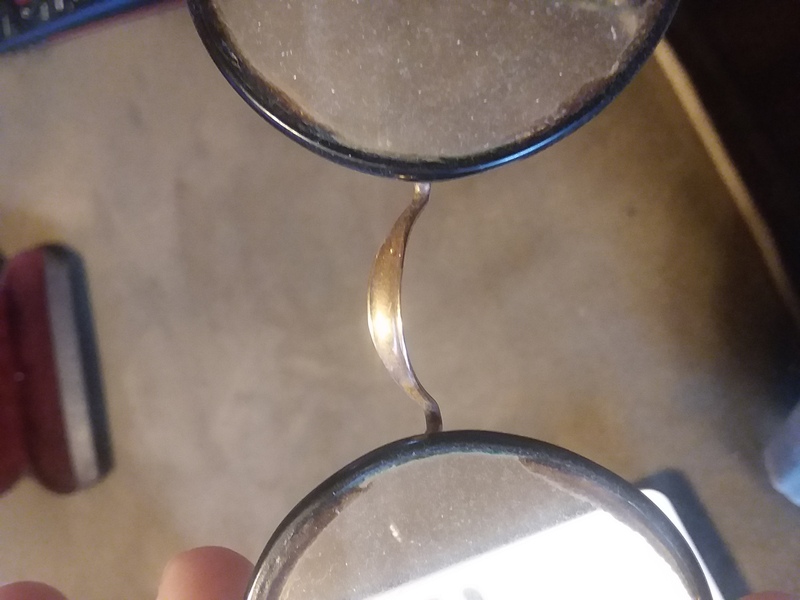 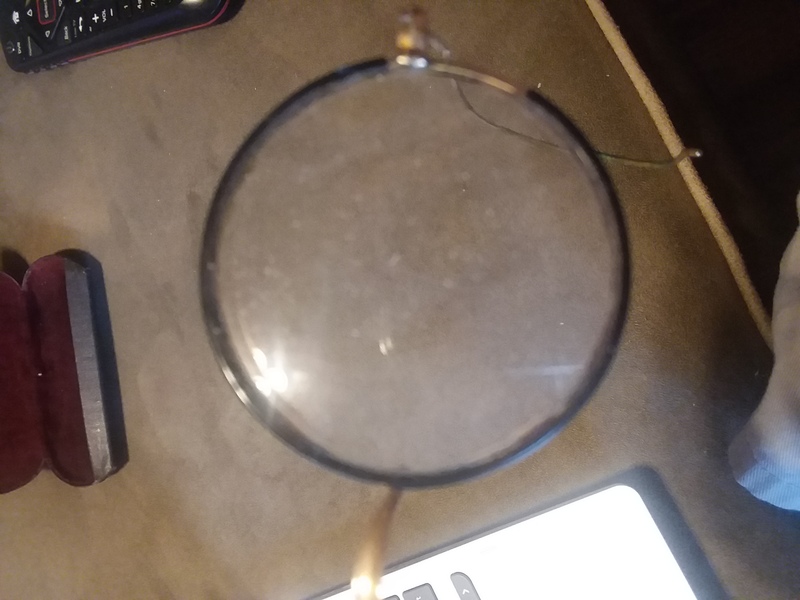 All I can do to describe the item is that it is a pair of glasses, with circular lenses and black rims. 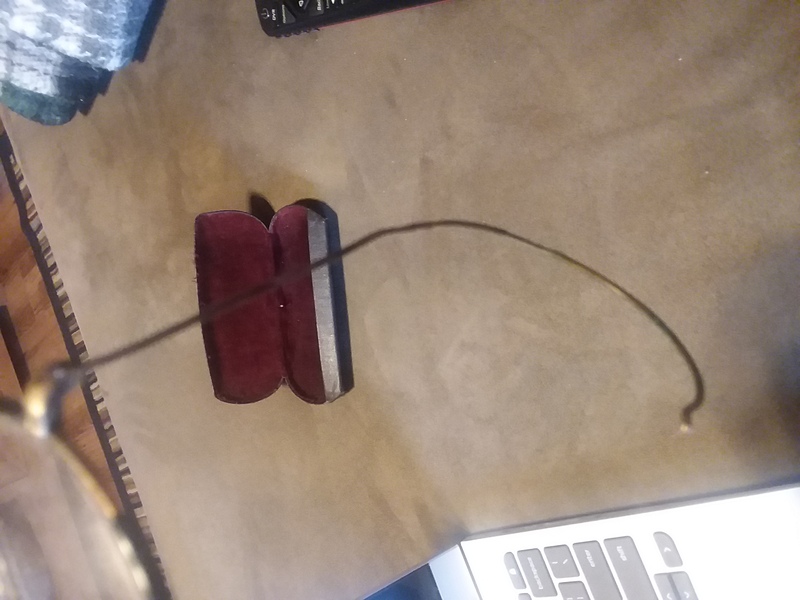 The "temples" are thin and seem to be made of wire and curl at the end on both sides. 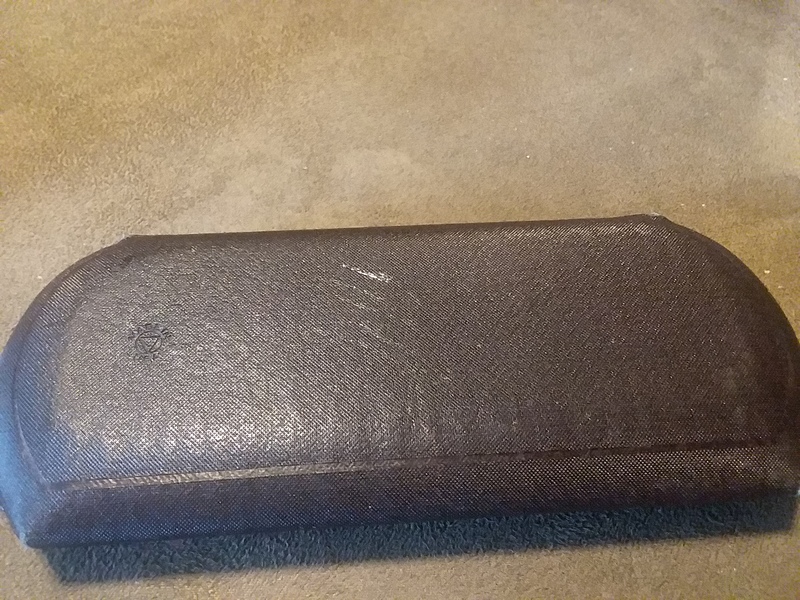 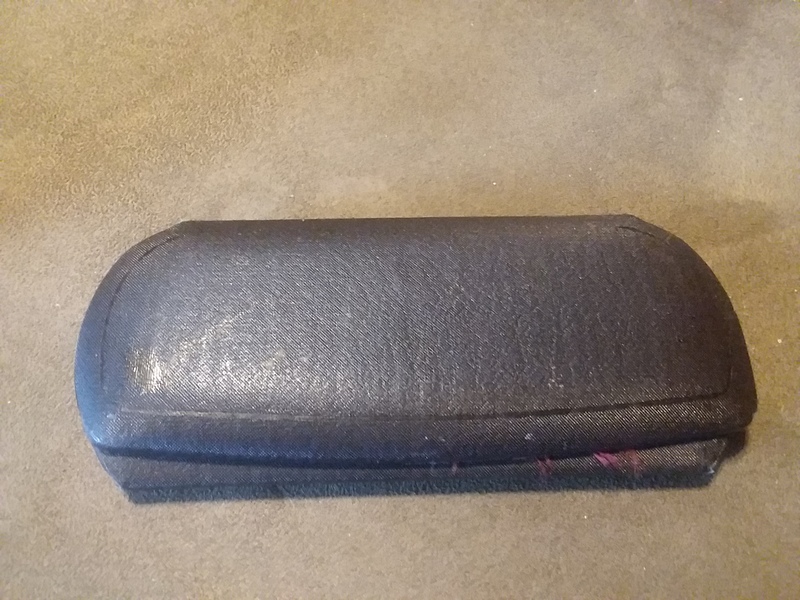 The glasses case is black with "Made in USA" in very small print. 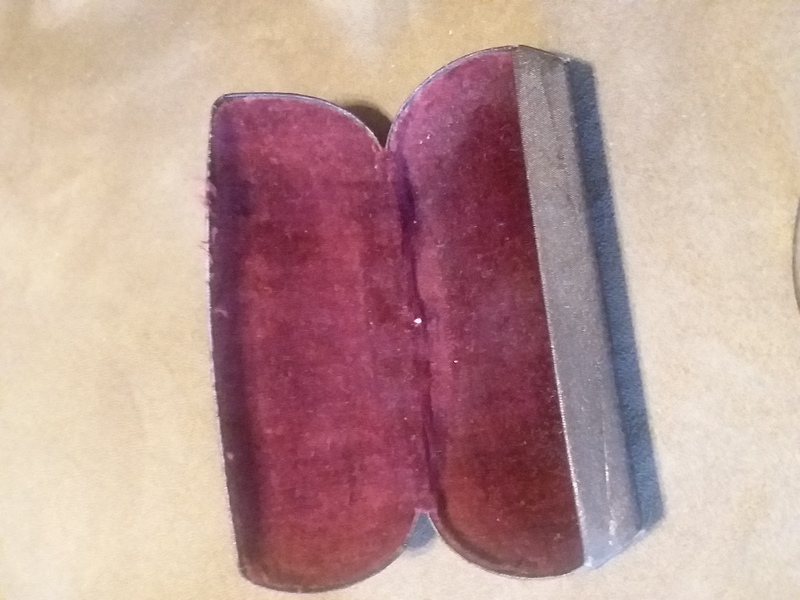 The inside of the case is padded and red. 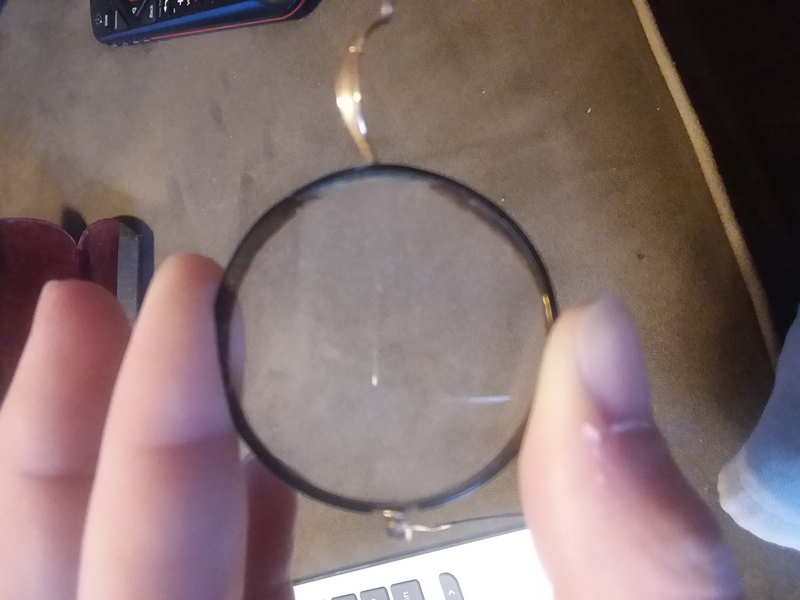 The middle of the lense has a circular bifocal in the lower center of the lens. 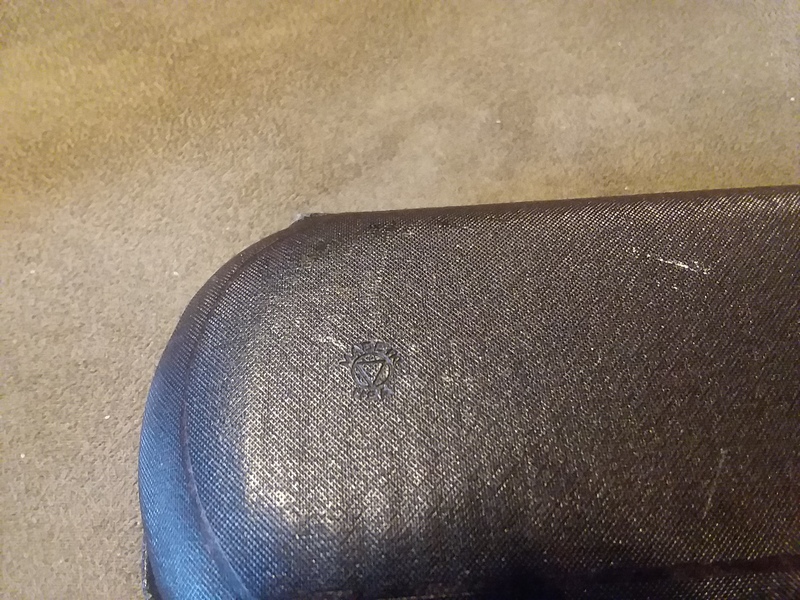 If anyone needs more detailed photos in order to identify the item, please let me know in the comments.